The Pharmacy Guild says it completely rejects the “ill-informed” recommendations of the Productivity Commission in relation to community pharmacy, which would see the “dumbing down” of a trusted health profession and “inferior care” for patients. According to the Guild, the recommendations in relation to the community-pharmacy model undermine the credibility of the Commission’s report on Australia’s productivity performance, ‘Shifting the Dial’, released this week. “In an astounding piece of short-sightedness, the Commission actually recommends a reduction in the qualifications and training required to become a pharmacist, creating a sub-class of under-qualified people to ‘supervise’ automated dispensing,” the Guild said. “This displays an appalling misunderstanding of the complexities and responsibilities required in the safe dispensing of prescription medicines. “The idea that this dumbed-down model should be tested on rural and regional communities is an affront to Australians living in those areas, and flies in the face of the need to deliver better health services to rural and regional Australians – not inferior services supervised by vending-machine attendants. 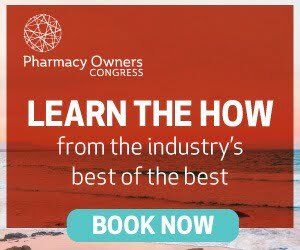 “The community pharmacy model in Australia serves healthcare consumers remarkably well, with 5,700 community pharmacies and their highly trained staff serving the needs of patients face to face. Local pharmacists are among the most accessible and highly trusted health care professionals in our health system. “This irrational recommendation to deprive Australians of this direct personal care from highly trained medicine specialists should be roundly rejected by governments and by the community. The Productivity Commission report said the Australian government should move away from community pharmacy as the vehicle for dispensing medicines to a model that anticipates automatic dispensing in most locations, supervised by a suitably qualified person. In clinical settings, it said, pharmacists should play a new, remunerated, collaborative role with other primary health professionals where there is evidence of the cost-effectiveness of this approach. Identify the best dispensing technologies from those now available. 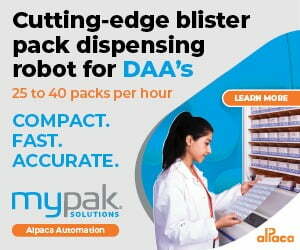 Determine the necessary credentials for the supervisor of automated dispensing, but with those qualifications involving substantially less training than currently are required for pharmacists. Consult with the relevant training institutions – most likely in the vocational education and training sector – to develop courses for such qualifications.Inform the various university departments of pharmacy about the reduced need for future supply of pharmacists. Determine the locations for automated dispensing, considering accessibility and security, but eliminating unnecessary boundaries on locations now endemic in pharmacy planning rules. Trial the technologies in remote and rural areas where there are currently shortages of pharmacists. In consultation with Primary Health Networks, Local Hospital Networks, the various medical colleges and any other relevant clinical bodies, define the role of pharmacists in a collaborative clinical model. Identify where it is cost effective to use pharmacists in primary health, considering the capabilities of lower-cost health professionals, and the increasingly greater capacity for information systems to provide accurate advice about medicines to GPs and other professionals. Phase in the changes after the 6th Pharmacy Agreement has lapsed, using the time to test it in some natural settings to refine the model.